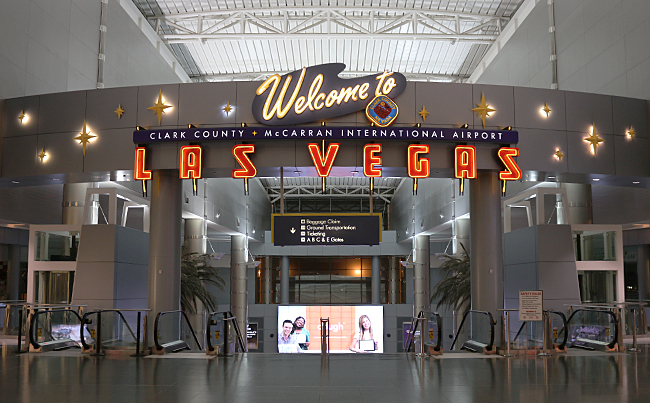 That was the first time I have walked from the airport to Las Vegas Boulevard — which is more popularly known as The Strip — and back; but it was not the last time. I found that the city of Las Vegas is actually more walkable than I originally thought, as all destinations along Las Vegas Boulevard should be fewer than four miles — and should take you no more than 90 minutes at the most to walk. After crossing the Delaware River via the Delaware Memorial Bridge on Interstate 295 northbound, I drove off the highway on the exit for United States Highway 40 to fill up my rental car with gasoline — but as I had not driven in New Jersey in years, I had momentarily forgotten on that cold and sunny day that I did not have to get out of the car because motorists still are not allowed to use the fuel pumps throughout the state. Effective as of Monday, January 1, 2018 at 12:01 in the morning, the state of Oregon permits drivers to use pumps to fill up the tanks of their vehicles by themselves in counties with a population of fewer than 40,000 residents — leaving New Jersey as the only state in the United States in which motorists pumping fuel into vehicles is against the law at any time during the day or night, anywhere in the state. As I drove eastbound along Interstate 40, I had no indication that I passed by an area which has literally become a roadside attraction, where ten different models of Cadillac automobiles — from 1949 through 1963 — are buried halfway into the ground, with the front half of each car below ground and the tail halves sticking up. 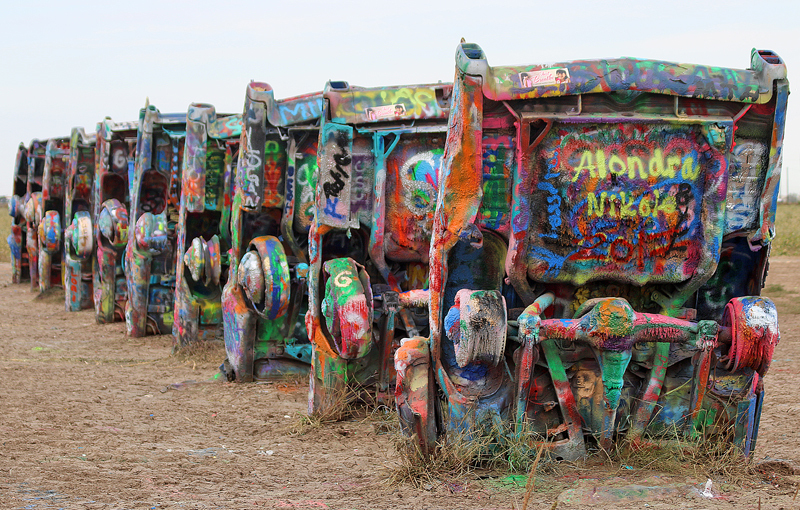 Cadillac Ranch is not initially easy to find — at least, visually — unless you know where it is located. When I arrived, all that was there was an ersatz gate adorned with coats of random colors of spray paint. I could hear the roar of the water smashing down onto the smooth and large rocks below long before I saw what is known as Öxarárfoss as I was strolling in Þingvellir National Park that morning of my visit, where I was greeted with spectacular — and relatively warm — weather. Visitors are treated to a breathtaking view during the walk to Öxarárfoss. Much of the walk to Öxarárfoss is via a curving boardwalk, with the remainder of it as a path of asphalt. The morning was cold and dreary as I was driving that morning on the road along the Snæfellsnesj Peninsula in western Iceland on my way to Saxhóll Crater; and the weather was in sharp contrast to the warm sunny day while I was visiting the Golden Circle. No one knows exactly how the two caves which comprise Laugarvatnshellar were created or who was responsible for their creation — they are not natural caves but created by mankind — and one cave was renovated and opened to the public in the summer of 2017 to allow tourists to visit the cave people of Iceland and see how they lived approximately 100 years ago. Not far off of what is known as the Golden Circle in Iceland is Skálholt and a collection of buildings and artifacts, which includes Skálholt Cathedral. The current cathedral was opened in 1963 as the tenth church to open on the same site. The mighty river — which is known as Hvitá — carved its way through the solid rock over the centuries to form the rock formations and the intricately entwined gorge known as Brúarhlöð, which is not all that far from the popular Golden Circle area of Iceland; but it is hidden and therefore its existence is unknown by tourists.